A primary conclusion of The Arizona We Want was, "Arizona needs fully prepared leadership and governance structures appropriate to the 21st century." 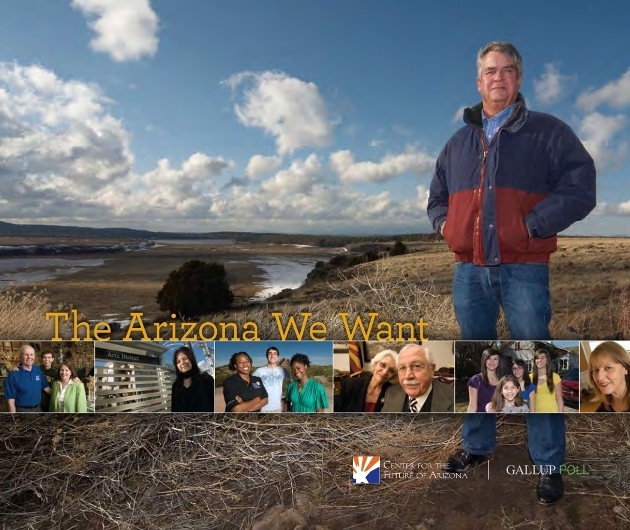 The Center for the Future of Arizona’s publication last fall of The Arizona We Want provided compelling data on our state that helped to instigate development of the Arizona Center for Civic Leadership. Subsequent to the report’s publication, the Flinn Foundation asked Battelle to inventory Arizona’s assets in the area of civic-leadership development. Battelle found that while very high-quality leadership-training organizations existed at the local and regional level, no entity existed to improve civic leadership statewide. To fill the gap, the Flinn Foundation and theThomas R. Brown Foundations formed a partnership to create the Arizona Center for Civic Leadership. This entry was posted in Collaborations and tagged Center for the Future of Arizona, The Arizona We Want by The Arizona Center for Civic Leadership. Bookmark the permalink.